This study was conducted at colleges in three countries (United States, Venezuela, and Spain) and across three academic disciplines (engineering, education, and business), to examine how experienced faculty define competencies for their discipline, and design instructional interaction for online courses. A qualitative research design employing in-depth interviews was selected. Results show that disciplinary knowledge takes precedence when faculty members select competencies to be developed in online courses for their respective professions. In all three disciplines, the design of interaction to correspond with disciplinary competencies was often influenced by contextual factors that modify faculty intention. Therefore, instructional design will vary across countries in the same discipline to address the local context, such as the needs and expectations of the learners, faculty perspectives, beliefs and values, and the needs of the institution, the community, and country. The three disciplines from the three countries agreed on the importance of the following competencies: knowledge of the field, higher order cognitive processes such as critical thinking, analysis, problem solving, transfer of knowledge, oral and written communication skills, team work, decision making, leadership and management skills, indicating far more similarities in competencies than differences between the three different applied disciplines. We found a lack of correspondence between faculty’s intent to develop collaborative learning skills and the actual development of them. Contextual factors such as faculty prior experience in design, student reluctance to engage in collaborative learning, and institutional assessment systems that focus on individual performance were some of these reasons. Barber, E., Layne, L. & Gunawardena, C. (2014). Designing online interaction to address disciplinary competencies: A cross-country comparison of faculty perspectives. 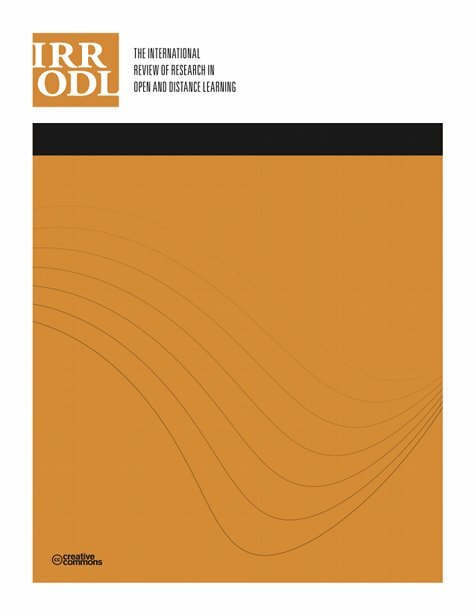 The International Review of Research in Open and Distributed Learning, 15 (2),. Athabasca University Press. Retrieved April 25, 2019 from https://www.learntechlib.org/p/171468/. Alden, J. (2011). Assessment of individual student performance in online team projects. Journal of Asynchronous Learning Networks, 15(3), 5-20. Ball, A., Zaugg, H., Davies, R., Tateishi, I., Parkinson, A., Jensen, C., & Magleby, S. (2012). Identification and validation of a set of global competencies for engineering students. International Journal of Engineering Education, 28(1), 156-168. Bernard, R.M., Abrami, P.C., Wade, A., Borokhovski, E., Tamim, R., Surkes, M., & Bethel, E.C. (2009). A meta-analysis of three interaction treatments in distance education. Review of Educational Research, 79(3), 1243–1289. Biglan, A. (1973). The characteristics of subject matter in academic areas. Journal of Applied Psychology, 57, 195-203. Cameron, L. (2008) Could pedagogical planners be a useful learning design tool for university lecturers? Readings in Education and Technology. Proceedings of ICICTE 2008 (pp. 496-507). Davis, D., Beyerlein, S., & Davis, I. (2005) Development and use of an engineer profile. Proceedings of the 2005 American Society for Engineering Education Annual Conference& Exposition. Erdogan, I., & Campbell, T. (2008). Teacher questioning and interaction patterns in classrooms facilitated with differing levels of constructivist teaching practices. International Journal of Science Education, 30(14), 1891-1914. Fulford, C.P., & Sakaguchi, G. (2002). Validating a taxonomy of interaction strategies for two-way interactive distance education television. International Journal of Instructional Media, 29(1), 79-92. Gilbert, L., & Moore, D.R. (1998). Building interactivity into web courses: Tools for social and instructional interaction. Educational Technology, 38(3), 29-35. Gordon, S.G., Sorensen, C., Gump, A., Heindel, A., Caris, M., & Martinez, C. (2011). Overcoming student resistance to groupwork: Online versus face-to-face. The Internet and Higher Education, 14(2), 121-128. Gorsky, P., Caspi, A., Antonovsky, A., Blau, I., & Mansur, A. (2010). The relationship between academic discipline and dialogic behavior in open university course forums. International Review of Research in Open and Distance Learning, 11(2), 49-72. Guan, J., Tregonning, S., & Keenan, L. (2008). Social interaction and participation: Formative evaluation of online CME modules. Journal of Continuing Education in the Health Professions, 28(3), 172-179. Hong, S., & Jung, I. (2012). The distance learner competencies: A three-phased empirical approach. Educational Technology Research and Development, 59(1), 21-42. Hunter, J. (2008). Applying constructivism to nursing education in cultural competence. Journal of Transcultural Nursing, 19(4), 354-362. Hurumi, A. (2006). Analyzing and designing e-learning interaction. In C. Juwah (Ed. ), Interactions in online education. Implications for theory& Practice (pp.46-72). Juwah, C. (2006). Interactions in online education. Implications for theory& Practice. New York: Routledge. Kale, U. (2008). Levels of interaction and proximity: Content analysis of video-based classroom cases. Internet and Higher Education, 11(2), 119-128. Keengwe, J., & Schnellert, G. (2012). Fostering interaction to enhance learning in online learning environments. International Journal of Information and Communication Technology Education, 8(3), 28-35. Kelly, G.J., Luke, A., & Green, J. (2008). Introduction. In G.J. Kelly, A. Luke& J. Green (Eds. ), Review of research in education Volume 32: What counts as knowledge in educational settings: Disciplinary knowledge, assessment, and curriculum (pp. Vii-x). Thousand Oaks, CA: SAGE. Manca, S., Delfino, M., & Mazzoni, E. (2009). Coding procedures to analyse interaction patterns in educational Web forums. Journal of Computer Assisted Learning, 25(2), 189-200. Masoumi, D., & Lindström, B. (2012). Quality in e-learning: A framework for promoting and assuring quality in virtual institutions. Journal of Computer Assisted Learning, 28(1), 27-41. Moore, M.G. (1989). Editorial: three types of interaction. The American Journal of Distance Education, 3(2), 1-7. Silius, K., Tervakari, A.M., Kailanto, M., Huhtamäki, J., Marttila, J., Tebest, T., & Miilumäki, T. (2012). Developing an online publication collaborating among students in different disciplines. Proceedings of the 2011 2nd international congress on computer applications and computational science: Advances in Intelligent and Soft Computing, Volume 144. Snášel, V., Abraham, A., Martinovič, J., Dráždilová, P., Slaninová, K., Daradoumis, T., Xhafa, F., & Martínez-Monés, A. (2012). E-assessment of individual and group learning processes. Journal of Computational and Theoretical Nanoscience, 9(2), 286-303. Squires, G. (2005) Art, science and the professions. Studies in Higher Education, 30, 127–36. Stark, J.S. (2000). Planning introductory college courses: Content, context and form. Instructional Science, 28, 413-438. Stark, J.S., Lowther, M.A., Bentley, R.J., & Martens, G.G. (1990). Disciplinary differences in course planning. Review of Higher Education, 13(2), 141-165. Tsai, C., & Lee, T. (2012). Developing an appropriate design for E-learning with Webmediated teaching methods to enhance low-achieving students’ computing skills: Five studies in E-learning implementation. International Journal of Distance Education Technologies, 10(1), 1-30. Tseng, H.W., & Yeh, H.T. (2013). Team members' perceptions of online teamwork learning experiences and building teamwork trust: A qualitative study. Computers and Education, 63, 1-9.